On the 27th of June, the President of the Tennis Club "Francesco Guzzini", Adolfo Guzzini, held a conference announcing the beggining of the 30th edition of Guzzini Challenger, the only Italian open on a fast track that prepares ATP tennis players to North American concrete-based courts season. The tournament, with a prize money of 43,000 euros, will start with a preliminary stage on the 1st and the 2nd of July. 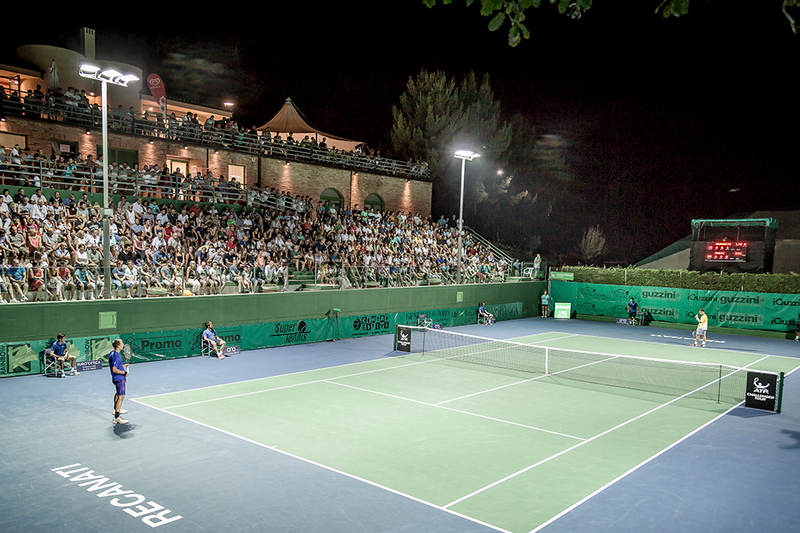 From the 3rd to the 9th of July the matches will be played between the finalists of the Challenger ranking. As every year, the challenge will host about 6,000 spectators and numerous local and national sports media. The sporting event will also be promoted in live streaming and broadcasted through social media channels- Facebook, Twitter and YouTube. 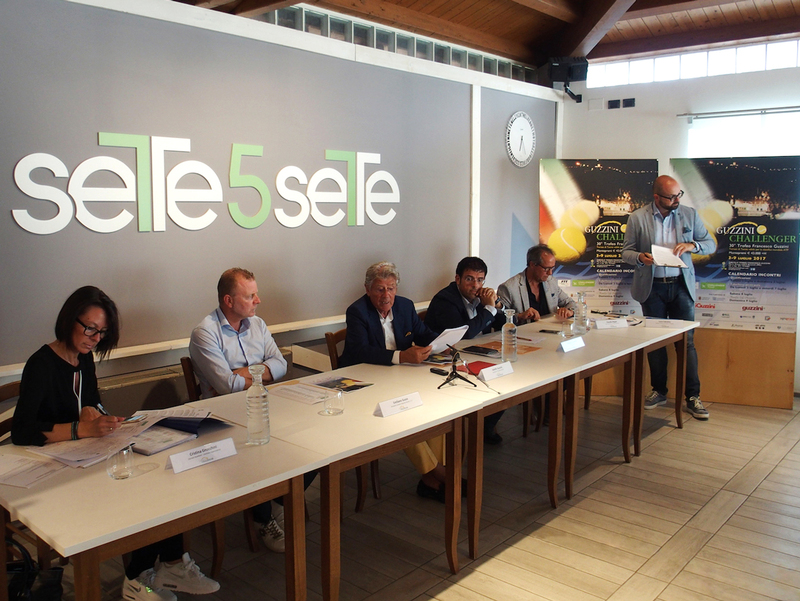 The Mayor of Recanati, Francesco Fiordomo, the President FIT Marche, Emiliano Guzzo, the Challenge Director, Cristina Gnocchini, the Vice President, Claudio Regini and the owners of the Sette5Sette, restaurant who hosted the conference were all present at the conference. Out of the 22 mainboard athletes, 18 are international. The italians, including Luca Vanni, Salvatore Caruso, Simone Bolelli and Stefano Travaglia (still pending qualifications for Wimbledon), will face the strongest foreign rackets including Lukas Lacko, Blaz Kavcic, Mirza Basic, Sergiy Staklovsky, James Duckword, Adrian Menendez-Maceiras and South Korean tennis star, Duckhee Lee, so- called "baby tennis phenomenon”, the first young tennis player ever to enter the top 1000 athletes in the world rankings. The prize for the Best Young Promise of the tournament will be awarded in memory of "Francesco Guzzini" on the thirtieth anniversary of his disappearance. This challenger is the main event of the “Tennis Club Francesco Guzzini”, founded in 1980 by Giannunzio Guzzini in memory of his son Francesco with the social mission of bringing young people closer to the values ​​of sport and making tennis an activity accessible to everyone thanks to the support of the Group Guzzini-FIMAG and the local and national business system. In the 2016 season, the Tennis Club played went to the male B-series national, and participated in the Under10 mixed, Under12 men, Under14 women and men championships. The SAT tennis school promotes healthy sports practice among young generations by teaching the value of respect, friendship and loyalty in a continuous commitment both on the field and at school. In this sense, the Tennis Club has built several projects with young people over time: the "Francesco and Giannunzio Guzzini" scholarships for the applicants of the tennis school, an agreement with the IIS Mattei High School of Recanati to collaborate with families to help the young players grow from a physical, mental and ethical point of view. This is promoted thought the sharing of school reports and hematochemical passports and a research project led by the Università of Macerata aimed at scientifically studying how "individual" and "team" sports affect human and physical growth. The press conference was also an opportunity to bring attention to the devastation caused by the earthquake that hit the Marches region last August. Adolfo Guzzini concluded the conference with a strong appeal to institutions and associations to take urgent action to facilitate the revival of the local economy, without which any type of intervention is inevitably limited. Entrance to all Challenger matches is free. Visit www.ctguzzini.it for more info on timetables and news. Stay tuned.